The Owl's Den: Go Fish Clothing & Jewelry Co. Giveaway Winner! 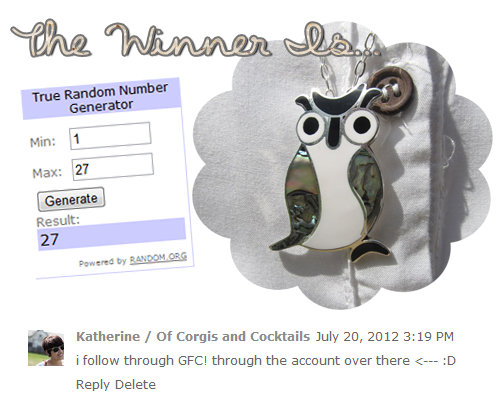 Congratulations Katherine! I'll be sending you an email shortly with more details. I want to say thanks to Go Fish Clothing & Jewelry Company for sponsoring the giveaway an a big thank you to all you that participated.